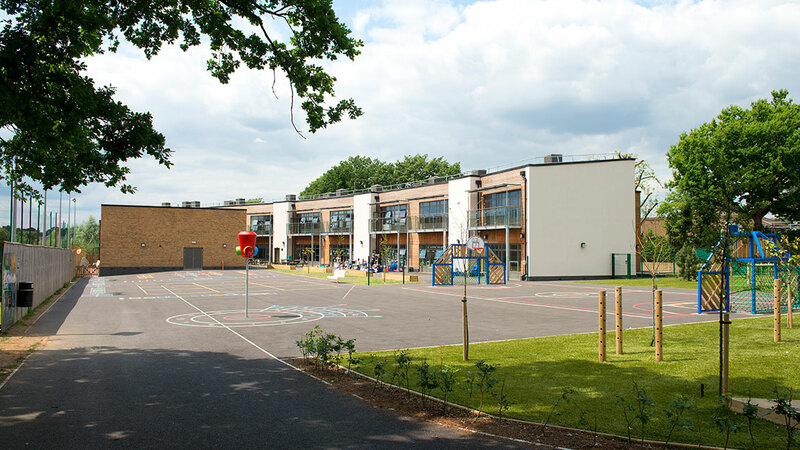 The Ellingham Primary School project created an enlarged new build school within the existing school site. 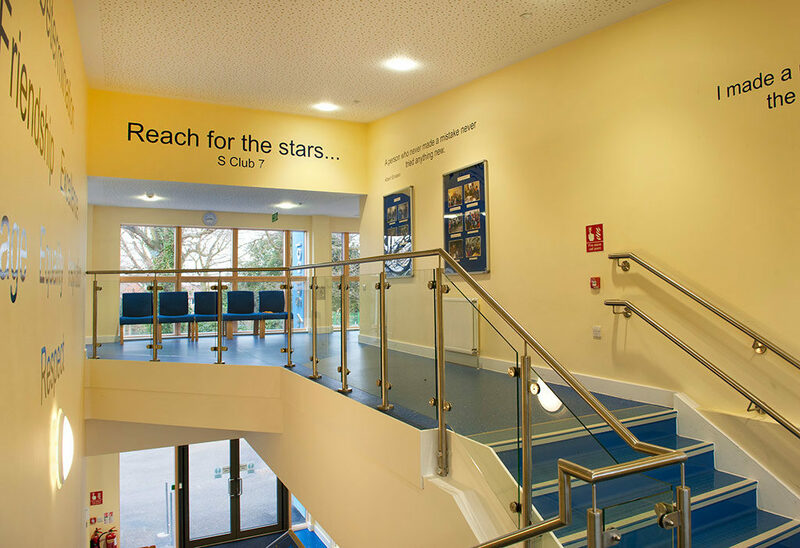 The new facility expands the school from a 2-form entry school whilst enabling it to fully comply with BB99 (Building Bulletin: Briefing Framework for Primary School Projects) and DDA requirements. The school ground is sandwiched between two other schools and is linear in shape with three houses between the eastern boundary and the railway line. Locating the new build school at the opposite end of these grounds enabled a phased construction which enabled the school to continue in session as usual even during construction. 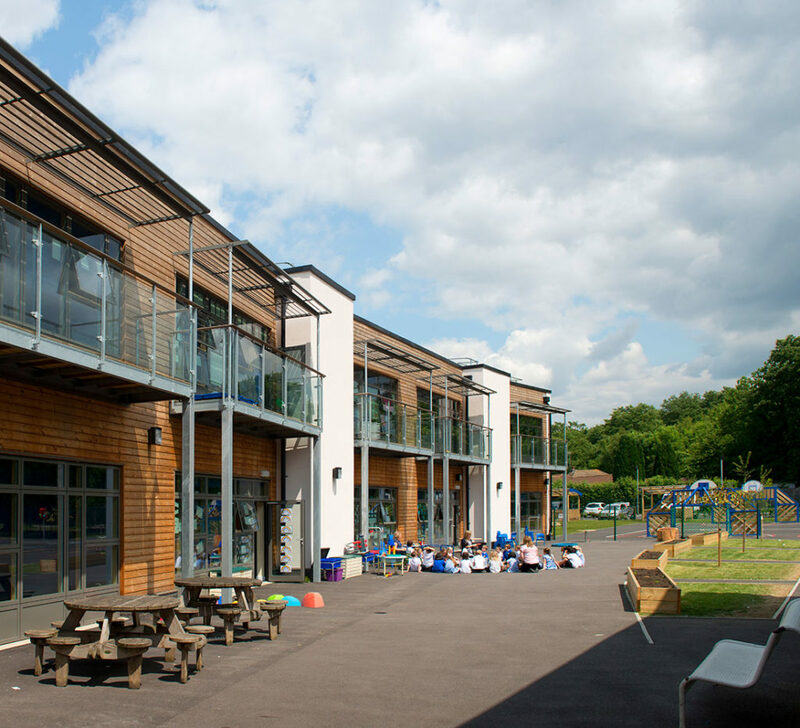 To create more outdoor teaching areas, we provided each of the first floor classrooms with a balcony to act as a group teaching area.